An Express Scripts Health Insurance Company review unveiled an online pharmacy that offer home delivery prescriptions at an affordable rate. Medicare Glaser, a collaboration of 79 pharmacies, formed this business in 1986. New York Life purchased the outfit in 1989. The company went public in 1992, and has grown large enough to employ 13,000 people. To get other comparisons of online health insurance quotes, enter your zip code here. This company calls Cool Valley, Missouri its home base although it started in St. Louis. It offers most of its services online. It also manages other network pharmacies and benefit programs. The US department of defense is one of Express Script’s biggest clients, which extends benefits through its Tricare program. Since the business became a Fortune 100, according to online sources, it made several business acquisitions such as the 1998 purchase of Value Rx, one of the first recognized discount pharmacies. If you couple the popularity of the internet with the need for a mail order pharmacy, you have Express Scripts Health Insurance Company. It operates as a pharmacy manager who files claims for its clients and members in addition to the mail order services it offers. 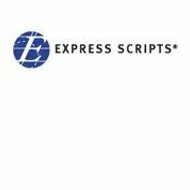 Express Scripts uses a National Formulary to provide its list of pharmaceuticals to the public. This National Formulary provides over 500 brand-name drugs in addition to their generic equivalent. The company uses a Pharmacy and Therapeutics Committee of 18 to select the drugs they intend to make available to the public members and business clients. These 18 committee members are doctors and professionals who are paid by Express Scripts to participate as temporary advisors. A Therapeutic Assessment Committee and Value Assessment Committee weigh in on the selections and advisory boards as well. Storefront pharmacies and other pharmaceutical drug providers use this service as well. Express Scripts’ clients are businesses who either purchase pharmaceuticals from the outfit or refer their workers to the company for prescriptions. The company maintains a sense of integrity by implementing their “Consumerology” program, which helps them to apply behavioral science to eliminate waste in the industry in addition to other programs. The healthcare industry is in a reformation whirlwind to say the least. When you add the high cost of prescription drugs to the attempt to provide national healthcare, the process becomes a bit confusing for some. Many elderly people do not have the resources to show up at a pharmacy every month to pick up certain medications. Online prescriptions may be able to save you some money by offering more generic options than found at your local pharmacy. With less overhead, you will be able to save the extra cost. This online pharmacy is rising to the changing demands in health care as well as the demand for convenient online services. Express scripts also participate in quality research in pharmaceuticals and their impact on current societal health issues. One of the current research projects relate to generic drug availability for depression. The Food and Drug Administration or FDA as most know it regulates all pharmaceutical companies. Pharmaceutical companies take in billions of dollars yearly from consumers and are now marketing products through mass media. Express Scripts had to answer to allegations presented by then Attorney General Elliot Spitzer in 2004. Express Scripts settled the lawsuit, which accused the company of retaining rebates and other unethical business practices. The company paid 9.3 million in claims and $200,000 in reimbursements. Twenty-nine states were involved in the case. This enterprise offers opportunities to pharmacists and other professionals in the field. The company website allows you a tour of headquarters online and provides an online application. Internships are available to undergraduates who aspire to work as a pharmacist. The reviews on Express Scripts are not good at all. Customers complain in their comments about delayed mail orders, the wrong medicine, and unlawful cover-ups. One customer claims the outfit charged them $800.00 in erroneous charges while military personnel warn that the government set them up with crooks. Some concerns have been updated with a rebuttal. To get Express Scripts and other health insurance quotes, simply enter your zip code in the search tool to get started!